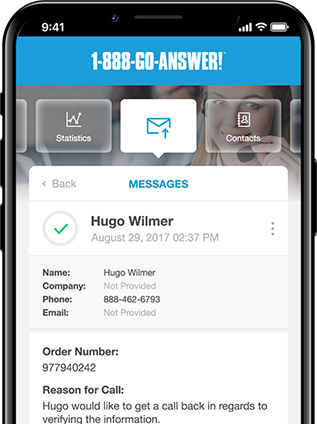 Mobile Answering Service App - AlwaysOn | 1-888-GO-ANSWER! A birds eye view of your account is within reach, literally. 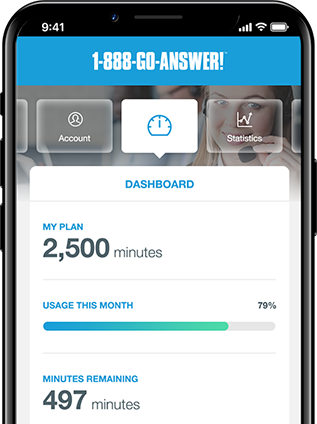 Check usage, remaining minutes, and more. Curious how long the average call or ring time is? Now, you see what we see, and that provides accountability. View anything and everything pertaining to your inbound calls/leads with the swipe of a finger. View account activity, get your messages and be more awesome - all at your fingertips.